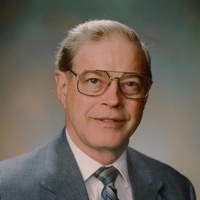 Donald Eugene “Don” Reed, age 84, of Joplin, went to be with the Lord on Monday, January 15, 2018 surrounded by family. Don was born February 1, 1933 in Mitchell, South Dakota, son of the late George Reed and Josie Reed. He graduated from Dakota Bible College with a Bachelor Degree in Theology in 1955, and he was a pastor in Illinois, Iowa, and South Dakota. He attended Lincoln Christian University before graduating from Illinois State University in 1967 with a Bachelor of Science in Education in 1973. Don later earned his Master Degree in Science. Don married his college love, Norma Kay Davidson, on August 17, 1961, and they had four children, Lyle Eugene Reed, deceased, David Allen Reed, deceased, Kendall Dale Reed, and wife, Rosario, Lynette Jo (Reed) Leeck, her husband, Jay; seven grand children, Justin Reed, Daniel Reed, Elizabeth Reed, Ivan Leeck, Ingo Leeck, Igor Leeck and Ike Leeck; brothers, Alvin Reed, wife Mary Inez, Kenneth Reed, his wife Sharon; a sister, Lila Mosier from Vancouver, Washington. Don was an Economics teacher in Rock Island, IL. for 14 years, and retired from Iowa-Illinois Gas and Electric. Don and Kay moved to Joplin, in 1999 and began to volunteer in various places such as ARM, White Fields, and Spring River Christian Village. They appreciated volunteering on roughly 20 adventure trips with World Mission Builders in the United States and Mexico and in building chapels in prisons in Oklahoma. The family will receive friends on Thursday from 6:00 to 7:00 p.m.at the mortuary. Memorial contributions are suggested to LATM, ARM, or Villa Heights Christian Church care of Parker Mortuary.